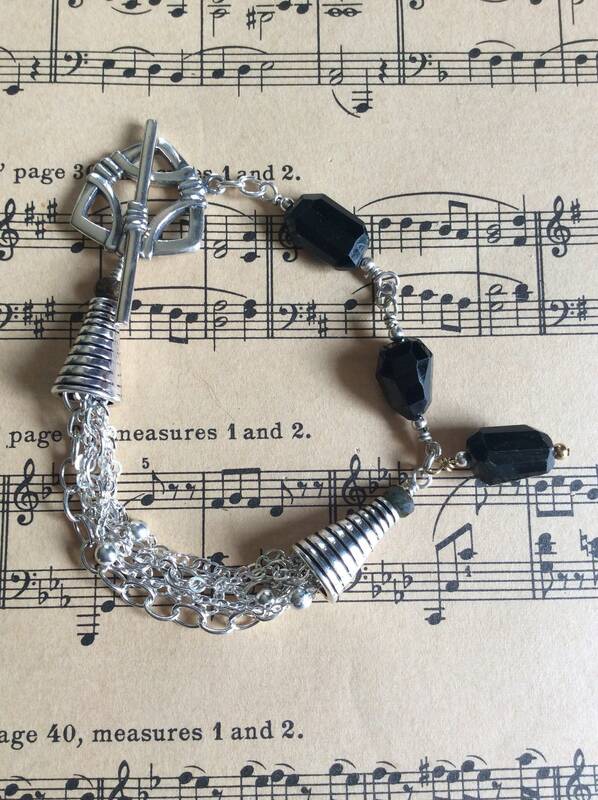 Onyx and sterling Jesco Jewelry signature bracelet! 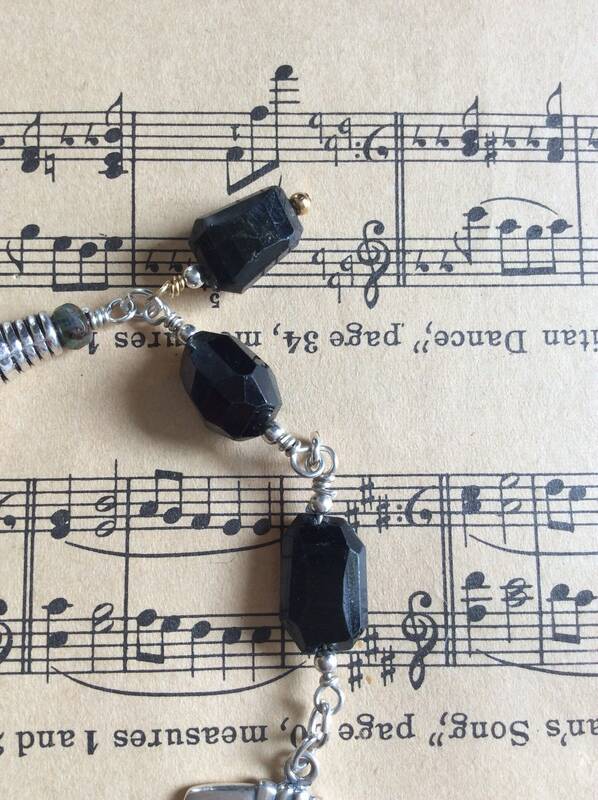 This listing is for my onyx and sterling signature bracelet! Grade AAA onyx stones have been cut asymmetrically and brought to a brilliant shine. They have an elegant organic feel; especially when paired with quality sterling silver! Chains used are varied, adding to that organic feel. 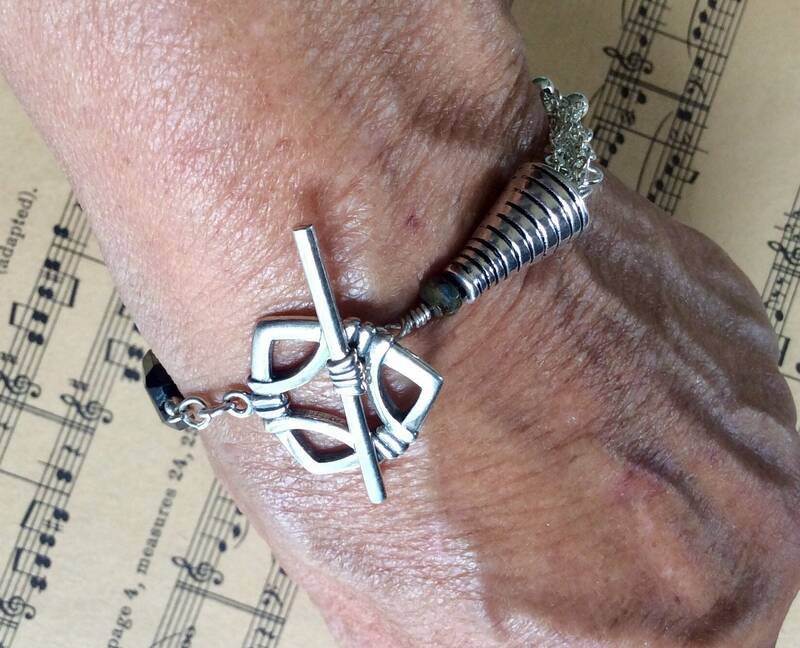 The Celtic themed toggle clasp holds a lot of sterling silver- it’s weighty and substantial. 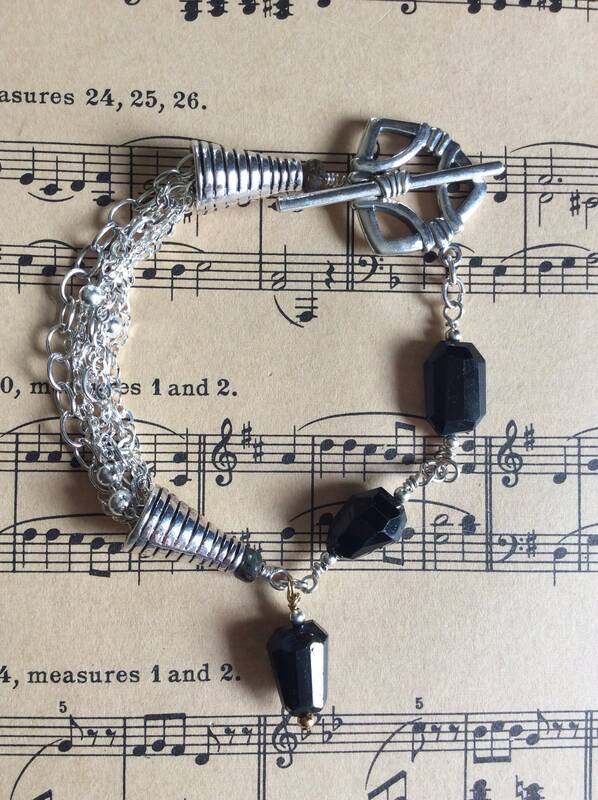 Cones, balls, and wire are also made of sterling! This is the element that makes it so elegant! 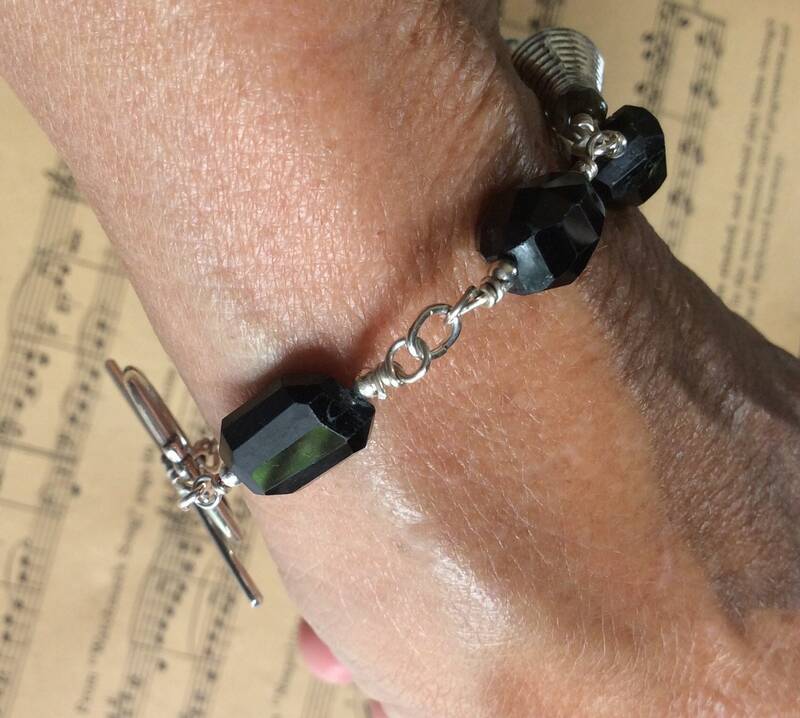 Your bracelet will be OOAK and when worn, it demonstrates to the world that you dare to wear something not created en mass such as Tiffany or Silpada. You will stand out as an individual who’s not afraid to show the world that you ARE an independent thinker, and you wear what YOU like! Repairs are free (within reason) except for shipping costs. I offer this perk because I’m so confident in my workmanship! Shipping is free within the US. Whether or not you purchase one of my pieces, your decision should not depend on shipping costs! 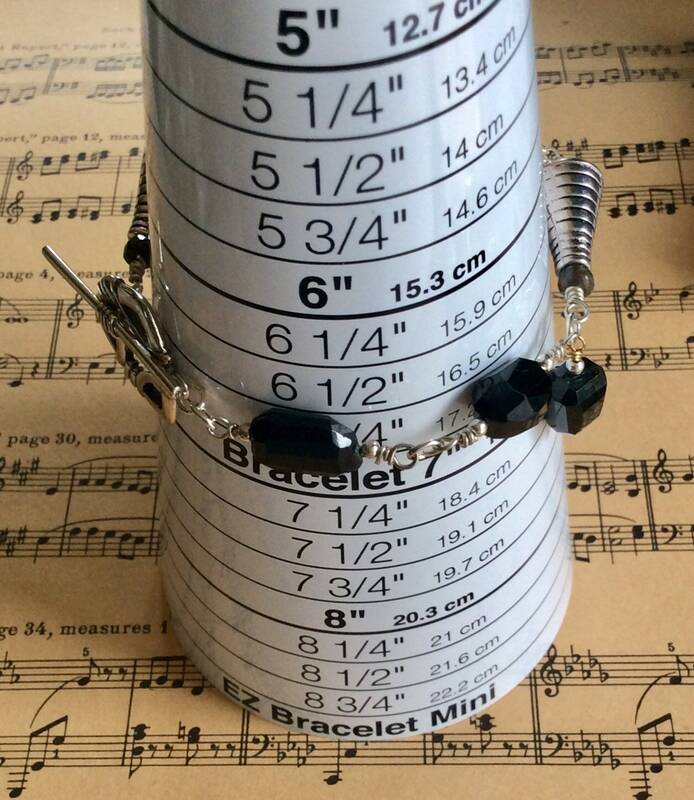 Your onyx bracelet is 8” in length when flat. It fits a 6.75” wrist, but can be lengthened slightly. If you are unsure of your wrist size, take a piece of string and wrap it snugly around your wrist. Measure the length of string and add 1/2” to that measurement. This will be your wrist size! Convo me if you have a question about measuring. In fact, convo me with any concerns, questions, ideas or clarifications! Thank you so much for visiting my Etsy store! I look forward to helping you out with your jewelry desires!